Assessing creative work has been a bugaboo for a good long time. In schools it’s the constant refrain: “How can you grade creative writing?” or “It’s a poem: however it comes out is right.” In businesses and elsewhere, people demand innovation–and are stymied with understanding how to measure it. Notably, in each of these cases, what we mean by “creative” changes a little. Sometimes “creativity” refers to divergent production (how much one produces, or how varied it is). Sometimes “creativity” refers to novelty in form. Understanding this–understanding the reason for measuring creativity or the kind of creative work one aims to assess–is the first step to demystifying the creative space. Each definition is included in the measures below. Anna drew the most drawings, even though her drawings were all faces. She has the highest fluency. Benji drew the most types of responses, even though he has fewer total responses than Anna. He has the highest flexibility. Carol drew two wheels and a ball–nice geometry! Darlene drew only two responses, but no one else drew a balloon or a bomb. She has the highest originality. Edward drew only three faces, but with more detail than the others. He has the highest elaboration. The Guilford approach (like all approaches here) is not comprehensive in measuring “creativity,” but it achieves a kind of psychometric evaluation of an individual–it measures a kind of productivity quotient, if that’s what you’re going for. Strengths: Measures output in a clear, quantifiable way. Weaknesses: Tells nothing of the relevance or value of the creative output. Note: Guilford and others have expanded on these foundational measures to create a full battery of creativity tests that further refine these categories. Most notably, psychologist Ellis Torrance created a series of tests that measure each category both verbally (e.g. name as many uses for a brick as possible) and visually (as above). The Taxonomy of Creative Design refers to changes in form and content, and it can be used to analyze or assess the novelty or the derivation of a creative work. It looks at a creative work as a product. It classifies creative work as an imitation of another work, a variation on a single work, a combination of two or more works, a transformation of a work into a completely new form, or a creation that is previously unrecognizable. It takes the scientific approach of reduction to a creative work in order to understand its component parts. The Taxonomy enables the analysis of a work in the context of its antecedents. How far does it step away from previous works? How great a leap in form or content has the creator taken? Alex proposes they use five-gallon water jugs like the ones in water coolers; people can carry the jugs in their arms. This solution, however, really doesn’t offer anything new. It is an imitation of something that Alex has seen before. Beatrice, however, suggests designing a five-gallon water jug that has a handle on it. This is a variation on the kind of cooler that Alex suggested. It takes a core idea and tweaks it a little bit, which adds some novelty to it, but it very much remains of the category of the original object. Carl, however, has kids who have backpacks that they pull behind them on wheels, and he imagines a five-gallon water jug like those backpacks: with wheels and with an extendable handle. This is a combination of two ideas: the water jug for holding liquid, and the wheels for pulling it around. In the end, it is both a water jug and a roller, and not one or the other. Dexter, on the other hand, decides that a backpack can be repurposed entirely to hold water instead of other contents. It requires a re-imagining of the materials and design of the backpack: the seams, openings, valves, and more, making it more than just a combination of a backpack and something else, for it only serves water-specific purposes and couldn’t accurately be called a backpack. In this way, it is a transformation of a backpack rather than a combination of it with something else. But Eveline imagines something completely different. She imagines a cylindrical tank of water that rolls on the ground on its side and can be pushed like a lawnmower. It’s not quite a jug, not quite a wagon or a plow, and not quite like anything else. It might be a combination of many things, but in any case it appears to be an original creation. This has the greatest novelty in form, and so it could be said to be the most creative. Imitation: Is the creation the same or virtually the same as something that already exists? Variation: Is it a slight change to an existing object, such that it is different, but still retains the identity of the original object? Combination: Is it a mixture of two or more things, such that it can be said to be both or all? Transformation: Is it a re-creation of something in a new context, such that it has some characteristics of the original object, but it cannot be said to still be that kind of object? Original Creation: Does it appear to have no discernible qualities of pre-existing objects or ideas? With these questions, the Taxonomy of Creative Design becomes an analytical tool for assessing the originality of an object. It does not measure difficulty, but instead how far an object reaches beyond what has come before, and some of the mechanics for how it achieved those gains. Strengths: Measures creative work in relation to other works. Assesses novelty and influence. Weaknesses: Tells nothing of the relevance, value, or effectiveness of the work. Note: For teachers, the Taxonomy of Creative Design functions primarily as a planning tool, suggesting the various kinds of creative activities or assignments that students might engage in. For assessment, these kinds of activities are best partnered with detailed program requirements. See the following. For more on the Taxonomy of Creative Design, visit this earlier post. In the Requirements Model creative work is assessed based on criteria (requirements) established before the work is made. In architecture for example, the design of a house begins with the program requirements: How many bedrooms? What style kitchen? Cost limits? A feeling of openness or coziness? Efficient use of space? These are intentional requirements, restrictions, boundaries, within which the architect creates a new plan. When the project is done, some assessments are straightforward: Are there the right number of rooms? Is the kitchen the right style? Did the project end up at the expected cost? Check, check, check. Other assessments are slightly more complex: does the house feel open or cozy, as desired? Is space used efficiently? These seem more subjective. And yet, they too can be concretely measured. We can look at openness by asking questions like: How much light is let in? Are there clear lines of sight between spaces? How high are the ceilings? These contribute to a feeling of openness, and they are clear, straightforward, and often quantifiable measures. Answering these questions offers direct evaluation of the seemingly more abstract program requirements. So if we set careful requirements for creative work, we can straightforwardly assess it. We often feel that creative work falls in the realm of aesthetic subjectivity, but most aesthetic or subjective responses come from discrete pieces of information that we can measure. The requirements model suggests that identifying these discrete pieces of information is the key to objectively measuring creative work. Strengths: Measures relevance, value, or effectiveness against clearly set requirements. Weaknesses: Works only when comparing a work against itself, not another. Note: The particular challenge for doing this well, especially in education, lies in setting clear program requirements. 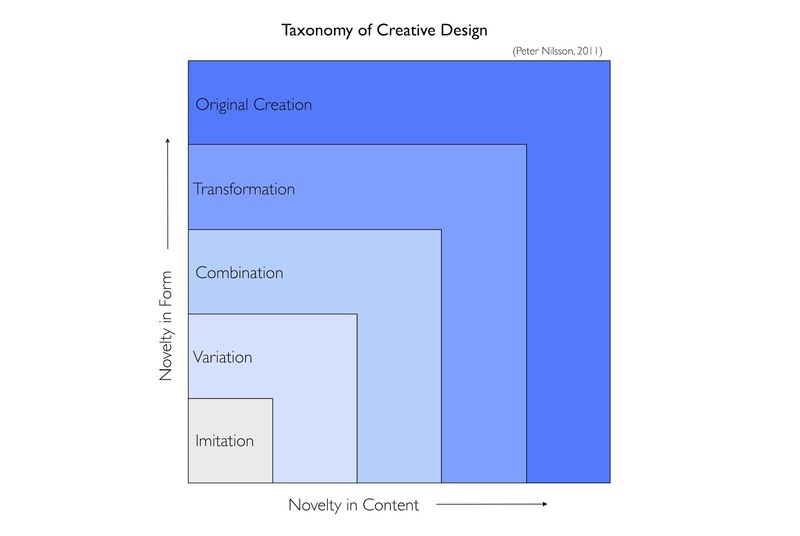 This means that the lower an assignment is on the Taxonomy of Creative Design, the more the model for imitation or variation must be clearly defined. So if an assignment calls for a student to create a variation on an epic simile, the elements of an epic simile must be spelled out. The higher an assignment is on the Taxonomy, the more external requirements ought to be applied in order to make assessment straightforward. The architecture example above suits this well. If I ask a student to “design a house” I will have difficulty assessing the result. But if I ask a student to “design a house for a family of four on a small suburban plot that takes advantage of year-round sunny weather and offers easy handicap access to all rooms”, then I can more easily assess the result. Mihaly Csikszentmihalyi has a name that is harder to learn than his theory. His name is pronounced: MEE-high CHEEK-sent-me-HIGH-ee. Say it four times, and you’ve learned it, but we’ll call him MC for short, anyway. MC suggests that the value of a work lies in the relationship between three parties: the person (or his or her work), the category to which the work belongs, and the other people who engage the work. These parties broadly go under three names: the person, the domain, and the field. Person: the artist, an individual work, or a body of work. In MC’s model, creativity is what happens when a Person creates a work, the Field embraces it, and the Domain changes as a result. If a writer pens a novel that expands how we understand novels, and if the field of critics, consumers, and other writers embrace it, then it is a work of creativity. This model measures value by the social or cultural response to the work. In this way, being creative means more than simply offering up any old divergent production–the term creativity isn’t slapped on any piece of work. Acceptance by the Field is key. When an Artist creates a work, the Field determines whether the work is held highly in the Domain or whether it sinks into anonymity. Strengths: Measures relevance or value in the context of a community. Weaknesses: Can be highly subjective. Note: As a social or cultural tool, this model is built on shifting grounds. The Field changes over time, and works rise out of and disappear into obscurity. Assessments of works, therefore, are not absolute values, but are gauged by the appearance of the work in the Domain’s consciousness. The Beatles and Elvis Presley changed rock music, and they will likely stay a part of the Domain of rock and roll for as long as people talk about the history of rock and roll music. The Turtles also wrote some great music, and they were widely heralded in their time, but they may fade out of Domain, or settle into a small part of the Domain, as their engagement by the Field fades. These four models offer four ways to assess creativity or creative work: one can look at output, influence, program criteria, or sociocultural acceptance. Which model one uses depends on the situation. Are you trying to measure the individual? Guilford’s model is likely best. Trying to assess the origin or influences of a work? The Taxonomy is likely best. 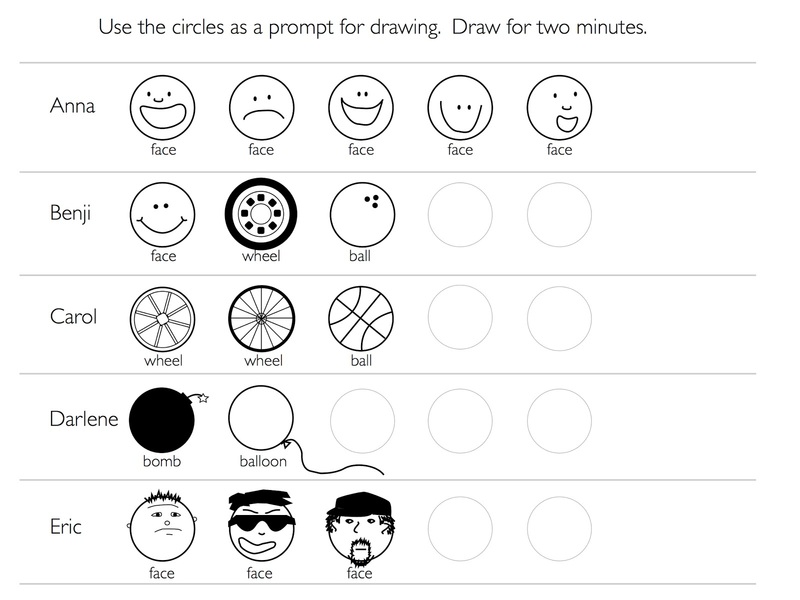 Looking to design objectively measured creative assignments? Use a strict program. Trying to assess the cultural value of a work, then follow MC’s model and research the Field’s response.